WordPress theme is a bundle of files (PHP, JS, CSS, images and other) which work together to produce an overall design and look&feel of a website. Those files include code which creates the structure of your site, styles that make your blog more beautiful, and different options that empower you to customize your website without having to mess around with the theme files directly. Most WordPress themes have predefined colors, fonts, widget locations, page templates, and other styles and details that together form the looks of your site. And no matter the theme you activate, good thing is that you can modify it to your likings. Furthermore, you get all that without having to know how to code. Depending on the theme, you can more or less easily change every single thing that you want. So, for example, if a theme uses red color for the title, and you want it to be blue, there should be an option that allows you to change that. And once you get more comfortable working with WordPress, you will be able to change elements that aren’t even listed in the theme’s settings (or you can always hire a professional to do that for you). Although no one knows the exact number of available WordPress themes, it’s certain there are tens of thousands of different ones waiting for you. Obviously, some are better than others; some a great and some barely even worth downloading. Before you start looking for a perfect theme, there are a few things you should know about them. For starters, we can group WordPress themes into free and paid (premium) ones, and there’s always a possibility to develop your own one or hire a developer to build a custom theme just for your site. Because WordPress is an open source platform, it’s expected that there are at least some free themes that come with it. Don’t worry; there are more than a few. 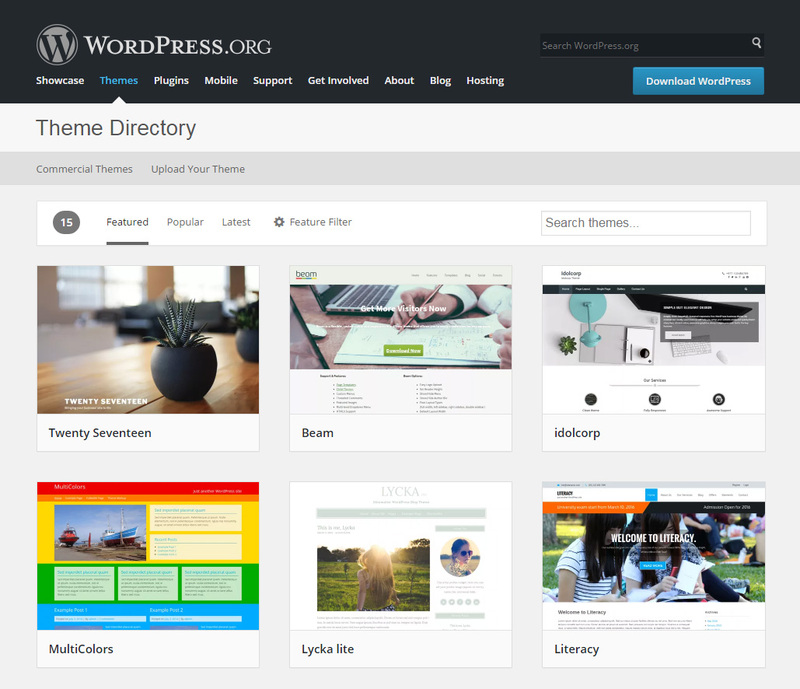 The official WordPress repository has more than a few thousand themes. 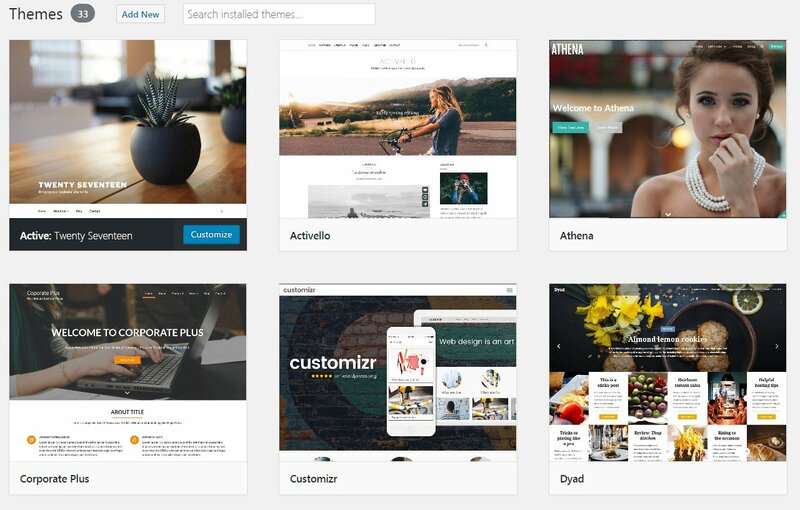 These WordPress themes are completely free which means you can install them, modify and use however you want to. Since there are dedicated people who monitor the repository and manually approve every WordPress theme and its updates, you can rest assured that every one of them is fully functional and safe to install. If you need support, there are official WordPress forums where you can ask for help. Again it’s all free, but bear in mind this is a community-based effort, so be polite! On the other hand, there are countless websites that offer free themes outside of the official WordPress directory. Some offer dozens of themes in bundles, and some just one or two they made in their free time. Unlike the themes from the official repository, you shouldn’t blindly trust every source on the Internet. Many bad sites distribute malicious software disguised as free WordPress themes. So, be very careful when downloading anything outside the official WordPress.org site. While there’s nothing wrong with having a free WordPress theme (and there are some amazing ones to be found, that’s for sure), it’s good to know that there are more than just a few premium ones. Unlike free themes, you have to pay for premium product. Depending on the developer, customers need to pay a one-time fee or subscribe to a monthly/yearly membership in order to use a particular item. Usually, paying monthly fees will grant you access to dozens of premium products (themes and plugins). But that’s something that depends on each theme provider/shop. Users see premium themes as better than the free ones. Although that’s not always the case, they usually have more features and options. 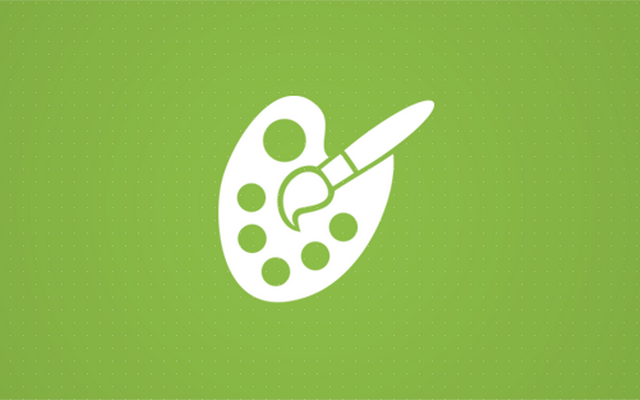 Premium WordPress themes come with one important advantage – professional support. What that means is that the designers and coders who have developed that specific theme are at your disposal. If something doesn’t work, or if there’s anything you want to change and you just don’t know how to, you can always rely on professional support to help you. That’s something you can forget about when working with free themes as support for them is based on the “if someone helps great, if not great as well” principle. If you want a unique WordPress theme, there are other options you should consider. Since both free and premium themes are available to anyone who downloads/pays for them, chances are that someone else will have the exact same site like yours. If that’s something that bothers you or you just have to have a few unique elements and functions that you can’t find in existing themes, the option is to hire a professional developer. After talking to a developer and showing him what you need and like, he can build a custom WordPress theme just for you. While this is tempting, note that developing a custom theme is very expensive and that you can easily spend a few thousand dollars on just one theme. To install, change and delete WordPress themes, navigate to Appearance -> Themes from the admin dashboard menu. On top of the page, there’s a number that shows how many WordPress themes you have installed. Right next to that number, you can find a link for adding a new theme. Next to that is a search box that allows you to find an item by its title or any other detail. Below that, WordPress will list all themes that you currently have on your site. The first one will be the theme that is currently active on your blog. You can see that from the dark bar on the bottom that tells you which theme is the active one. If you hover your mouse cursor over the same box, you will be able to view more details about it and click the customize button that will open the Customizer. 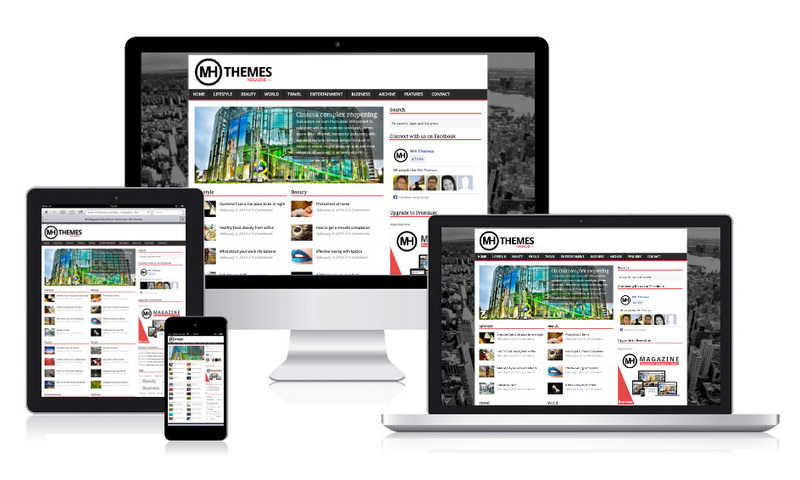 If there are any other themes on your site, they will be listed after the active one. By placing the cursor over any of them, WordPress will reveal “Theme Details”, “Activate”, and “Live Preview” buttons. By clicking “Theme Details” button, you can view more information (a screenshot, theme name, its developer, description, and tags). On the bottom, there is also a red delete button that lets you completely remove the theme from the site. Since you won’t lose any content by deleting a theme, feel free to remove those that you don’t use. Before activating a theme, have a look at the preview by clicking the “Live Preview” button. WordPress will then open your homepage by loading the new files. This is how your site will look like if you choose that particular theme. If you like it, go back and click the “Activate” button. From that moment, everyone who comes to your site will see the new design in action. WordPress themes are one of the first things that you will be interested in when starting a WordPress blog. Since they dictate the entire look and feel of the blog, it is important to find a theme that suits your needs and that both you and your visitors will like. Be careful when downloading free themes, and pick carefully when paying for one – it’s your money. After reading this article, we hope that you can find a theme that you like and navigate through the Themes page more easily. « Previous Comments: What is a Comment and How to Manage It?